In a not so shocking admission Pope Francis announced to the world that Priests now hold the right to absolve women who have had abortion and to forgive them for their sin. As long as they are contrite. Get this, the Pope has the authority to tell priests that they now have the authority to forgive the sin of abortion. And they say this pope is humble! 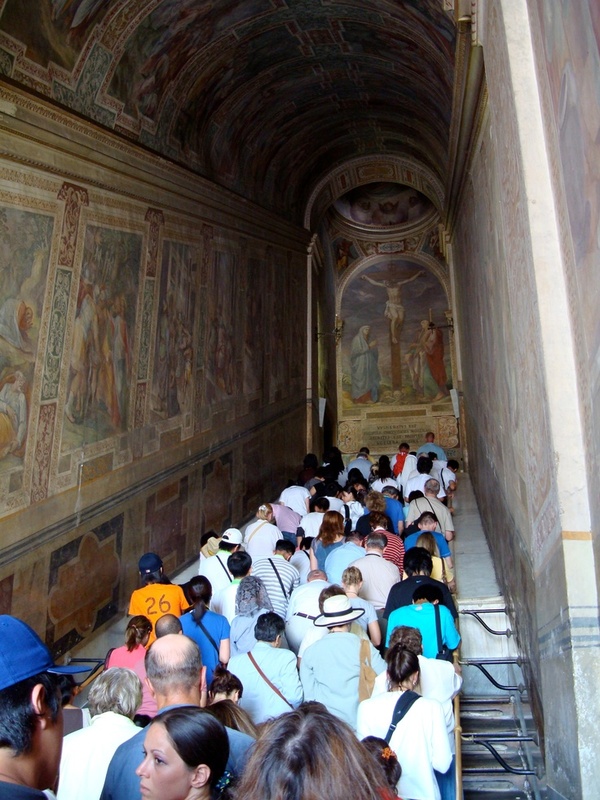 Growing up in Rome and watching people pray their way up the “holy” steps, watch them wait to confess their sins to men and many things like this, has caused me to grieve for people who are in the Roman Catholic Church. Any religion that is built on the backs of the poor and that propagates works based righteousness should bring tears and concern to those who have experienced true grace. It is important that we as believers understand the truth of why Catholic confession is not Biblical, not to win an argument but in order to rescue souls. So here’s five problems with Roman Catholic confession. It is fascinating to see the stories of Saul and David. 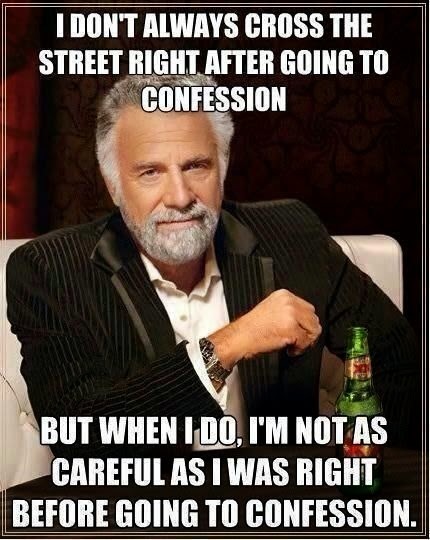 Most people would look at Their confessions after being confronted as very similar. One said “Now therefore, please pardon my sin and return with me, that I may worship the Lord. The other “I have sinned against the Lord.” One may even say Saul’s confession was better worded, but ultimately both prophets had come with a clear message from God who had seen their hearts and knew which one was truly repentant. Priests cannot see the heart of man and are definitely not good judges as to whether someone is repentant or not, heck, even if they could tell from the eyes if a person was liying they don’t get to in catholic confession. Man is not a good judge of what happens in someone’s heart and certainly not a good judge of how bad sin is since we love to minimize sin and magnify man’s goodness. The Pharisees hated the fact that Jesus forgave sin (Matt 9:3). They knew that it was something only the creator of the universe was allowed to do. When Jesus healed the paralitic man the Pharisees were ready to lynch him for saying that he forgave him of his sin. It’s incredible that the Pope could think that he hahs the power to absolve someone of sin, give them some work to do and send them on their way absolved of sin. The only one with the power to forgive sin is God himself (1 John 1:9), and thankfully he does not leave it up to us to be the judges of whether someone deserves forgiveness or not. After talking with many catholics it is fascinating to see how many are trusting in three things for their salvation. Their baptism, the mass and ultimately their confession. The idea that you can go and confess your sin in return of saying a couple hail Mary’s and really, really, really, feeling sorry for your sin propagates a mentality that says that sin isn’t that bad and that I can overcome it with my works. It doesn’t take a few Hail mary’s to make up for abortion, a thousand wouldn’t be enough. It takes the shed blood of Christ and a person who repents of their sin and pleads with Him for forgiveness. It takes a heart that doesn’t minimize sin but rather exposes it to their creator admitting the fact that their sin deserves eternal punishment in Hell. Whether the Roman Catholic church likes this or not, easy-confession causes people to become calloused to their sin. Rather than having to talk to God they are talking to a human being who is listening to people’s confessions all day, usually can’t see your face, and who gives you some easy task to do in order to be forgiven. I’ve heard dozens of catholics say to me, “I’ll just go confess it to the priest next week” as they talked about their sin. Anytime you minimize sin to the point where, sin no longer damns you but you can pay for it in purgatory, and you can make up for it through actions. In the moment of temptation people might say “I can do this and I’ll just tell it to the priest later and I’ll be ok” This leads to more and more sin. Ultimately Roman Catholic confession causes people to minimize sin and believe in a system rather than a savior. It removes people from speaking to the only one that can forgive them and makes them speak with an impostor selling snake oil. My heart breaks for those who are caught up in this lie, many times I’ve shed tears while walking in “churches”, seeing people lined up to confess their sins who were about to be given easy-fix worldly solutions to eternally damnable offenses, and are never told about the reality of hell but the sweet grace of Jesus Christ. It is imperative that as believers we know the different between the true gospel and a false one so that we can lead people to a saving relationship with their creator rather than a works based religion. I hope ultimately that an article like this one, will cause Christians not to pat themselves on the back but rather to be thankful for knowing the truth and feel the incredible need to share our faith with others. here’s an article to help you with that.